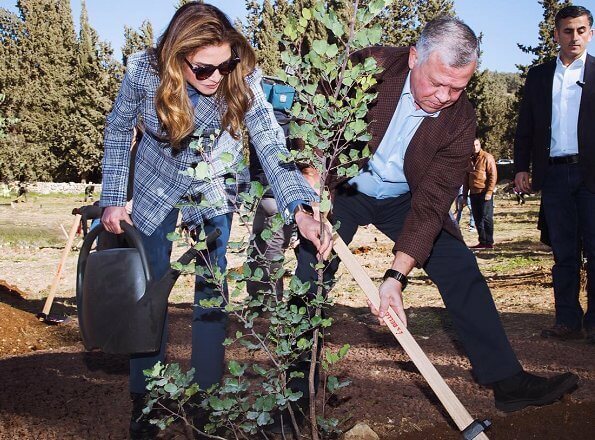 On the occasion of Arbour Day, King Abdullah II and Queen Rania attended a sapling planting event held in Al Kamaliya Forest. A fire occured in Al Kamaliya Forest in the summer of 2017 and since then 9.000 saplings were planted in Al Kamaliya Forest with post-fire rehabilitation efforts. It is planned to plant 20.000 saplings in the forest later this year. Arbor Day is a holiday in which persons and groups are encouraged to plant trees. Although that holiday usually takes place in the spring, the date of the holiday varies depending on weather conditions and suitable planting season. 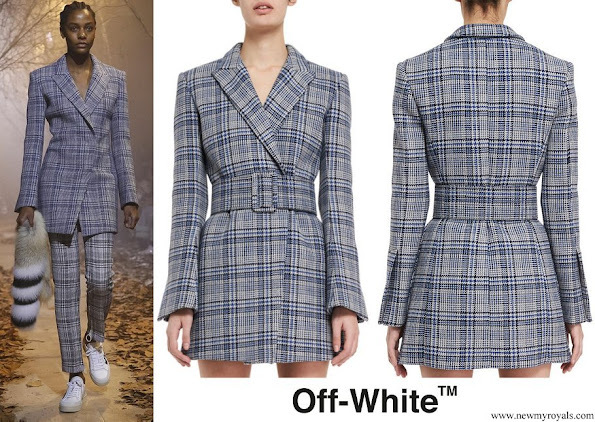 Just another occasion for her to display new clothes.